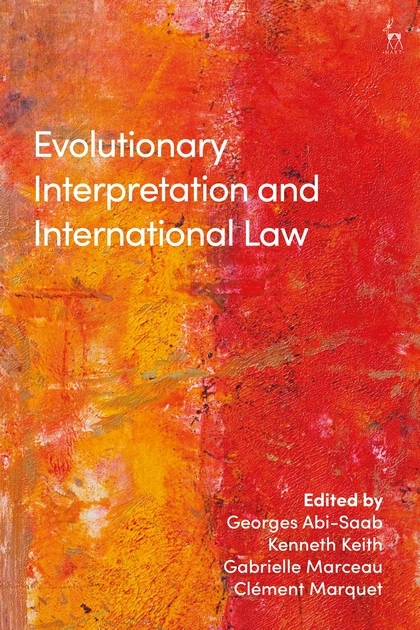 This unique book brings together leading experts from diverse areas of public international law to offer a comprehensive overview of the variety of approaches to evolutionary interpretation in different international legal systems. It begins with the basic question of what interpretation is, offering the views of expert authors on the question, its components and definitions. 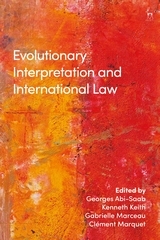 It then comments on situations that have called for evolutionary interpretation in different international legal systems, including general international law, environmental law, human rights law, EU law, investment law, international trade law and how domestic courts have, on occasions, interpreted treaties and other international legal instruments in an evolutionary manner. This timely, authoritative compendium offers an in-depth understanding of the processes at work in evolutionary interpretation as well as a prime selection of the current main trends and future challenges. Georges Abi-Saab is Honorary Professor at the Graduate Institute, Geneva, and former Chairman of the Appellate Body, World Trade Organization. Kenneth Keith Professor Emeritus at the Victoria University of Wellington, New Zealand, where he taught for more than 20 years, and a member of the Institut de Droit International. Clément Marquet is Research and Teaching Assistant at the Law Faculty, University of Geneva.